Here is a round-up of West Ham related stories gathered from newspapers and the internet on Friday 30/12/16. Bilic – Leicester are still a force. Slaven Bilic has no doubts that Leicester will get their season back on track and is expecting another tough encounter at the King Power Stadium on Saturday. After defying all the odds to win the Premier League last season, the Midlands club have failed to reach the same standards this season and are languishing just outside the bottom three. But despite their position in the table, the Hammers manager has no question that Claudio Ranieri’s side have the quality in the team to turn their season around and will be looking to end 2016 on a high note. Bilic said: “Leicester were a miracle last season. It was a big achievement and one of the biggest in football history. “It was very difficult for the manager to maintain that level of keeping everything positive.“The Champions League did not help them although they have done tremendously well in the competition. What do you think of our chances at the King Power stadium? Draw or win? Now that Obiang is back from suspension, would you make any changes to a winning team to accomadate him? Jermain Defoe plays down talk of a transfer from Sunderland to West Ham. 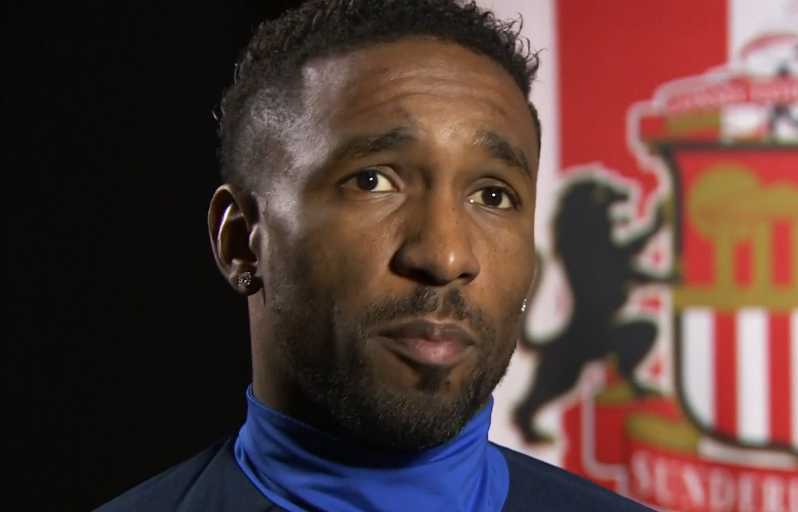 Jermain Defoe has shrugged off speculation linking him with a move away from Sunderland and says he is enjoying his football in the North East. “There’s going to be speculation because, let’s be honest, the people that score goals are wanted,” Defoe told Sky Sports News HQ. Do you want Jermain Defoe to return to West Ham? Do you think he is too old at 34? Is he worth signing to give us some goals? West Ham not moving for Marcus Rashford in transfer window – Slaven Bilic. He added: “We are the club that is linked with the most players in Europe! Every player that is available, it is always West Ham. “It’s that time of the year. You have the agents calling. I think we have a good principle. We have chairmen, there’s me and my staff, and we are working quite well. “Of course, you are bombed with names and everything. When you talk to them, everybody is like (Lionel) Messi or whatever. They are also very cheap, dying to come, and they have a little West Ham tattoo. Not now… but since the school days and all that. You know it’s that time of the year. Would you like us to try and get Rashford on loan? Or would you rather we allow Fletcher or Martinez a chance in our first team? West Ham interested in RB Leipzig striker Davie Selke. The Germany U21 international has been linked with a move away from Leipzig, who sit second in the Bundesliga, after finding first-team opportunities limited this term. Selke has scored two goals this season but has only started one game for Ralph Hasenhuttl’s side. His father has told Sky Germany: “I will not comment on any of these inquiries, but one thing is clear: we want to see a way and a perspective for Davie. “His current situation [not playing] must not be a permanent state. The situation is not satisfactory and this is also the responsibility of RB Leipzig”. Back-up plan in place for West Ham transfer, could save the day for Slaven Bilic. Valencia will have had more managers than wins this season when they appoint their next boss. Cesare Prandelli has quit the Spanish club because he felt he wasn’t going to be backed on January transfers. In a sign of how low Valencia have sunk, there’s a pretty good chance Prandelli quit at least partly because the club’s move for West Ham’s Simone Zaza was set to collapse. After being claimed as a sure thing just awaiting official announcement, Zaza’s switch to Valencia now looks up in the air, which causes problems for West Ham and Slaven Bilic. I’m sure we are all in agreement that we hope that a move still comes through for Zaza sooner rather than later. It surely is no good for the player or Juventus for him to stay with us.